Kate Bosworth in Stella McCartney at Bulgari Retrospective Opening in San Francisco, CA. Kate Bosworth looks ahhhhmazing in this chic Stella McCartney body con dress. She accessorized with oodles of gorgeous diamonds on her wrists & hanging from her ears, presumably from Bulgari. Kate finished off the look with a black clutch & basic pointy toe black pumps. While at first glance this outfit may seem simple with all the black, it is anything but. Kate knows the power of a LBD & this look really puts all the spotlight on her dazzling diamonds. There were so many great celeb looks this week, but I loved Bosworth's so much that I could not get it out of my head, & knew it was my favorite of them all. 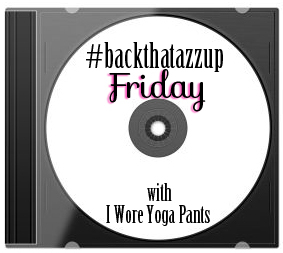 For #backthatazzupfriday I bring you Lady Gaga's latest song that I am loving right now. It's a great song that is fun to dance to, & will hopefully start off your weekend right! This weekend is Parent's Weekend at my school & I cannot wait for all the fun over the next few days. What are your plans for the weekend? Hahaha my school's week is Parents Teacher week and so their meetings . I am pretty relieved. I adore her dress! Stunning.